*This post was written by me on behalf of The OrganWise Guys Inc. and BookieBoo LLC. All opinions are 100% my own. The Obama family just celebrated their 19th wedding anniversary on October 3rd. I was recently reading a post on PopSugar about their celebration. Apparently the happy couple held their celebration after the big debate. The article also included a quote from The First Lady Michelle Obama. I may not agree with all that the Obama's stand for but health is certainly something that everybody can agree with! Cathie N. asks Mrs. Obama "Will you still be doing things to get kids active and healthy?" "Definitely. Working on this issue with kids, parents, teachers, and so many others from around the country has been one of the most inspiring things I've ever done. I want to make sure that all of America's children, no matter where they grow up or where they go to school, have an opportunity to eat nutritious foods, get up and get active, and develop healthy habits they can use for the rest of their lives. That means we need to engage even more parents, more schools, more restaurants, grocery stores, and communities to take steps to help our kids grow up healthy and strong, so that they can reach all of their dreams." -taken from PopSugar.com Article: http://www.popsugar.com/Michelle-Obama-Quotes-Lets-Move-Kids-Health-25312688 Updated Oct 5 2012 - 10:02am · Posted Oct 5 2012 - 9:50am by Molly Goodson. That statement is so wonderful. I am also thinking that WE as parents need to be more involved in our children's nutrition. I myself need to develop healthier habits so that my children will see and follow my example. My husband and I both finally can agree that we have not been getting up and being active like we used to. What happened? Maybe just normal parent tiredness, normal fatigue and stress have taken over. What we really needed was a bit of help and a way to make talking about being healthy fun. Making it fun should help that glazed look the kids get in their eyes to go away when we have our talks LOL. This past week we finished up our 7 days of The OrganWise Guys. I'd never even heard of them but according to their website they have been around for almost twenty years and began in 1993. That is almost twenty years of creating educational programming to help fight childhood obesity. 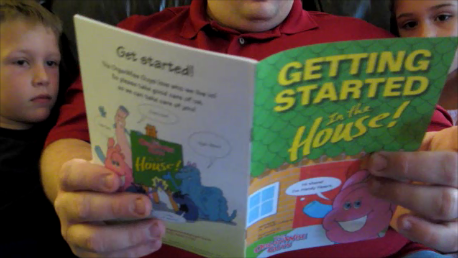 This program can be used in-home, in the classroom, at a community center, church youth groups, and pretty much anywhere to educate kids in a fun way that they can relate to. The OrganWise Guys really went over very well in our home. We all need to make healthy choices. I found the program to be extremely easy to use. The kids loved the soft plush characters and the booklets really engaged them even with our middle child who has a short attention span. 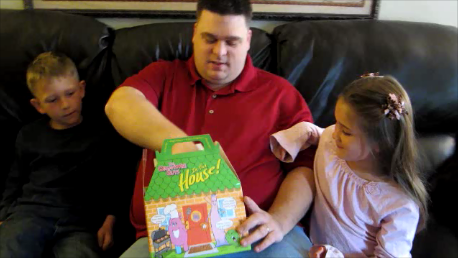 The OrganWise Guys In The House kit is contained inside of a very colorful carry case box that is shaped like a house. The purpose of the kit is to help your family track their healthy behaviors in the quest to become "OrganWise". The program gradually adds in healthy practices to daily routines. Your children will be engaged in the several OrganWise "Rules" for seven days while keeping track of their progress. At the end of the week they report their outcome and then wait for their reward that you will make appear the next morning. Inside this house case are 5 books filled with fun (plus healthy tracking tools). 1. Getting Started with In the House! *Each booklet has a corresponding plush toy that you get to surprise your child(ren) with as a reward for their heathy behavior. The OrganWise Guys program is helping you lay the foundation for your children to make healthy choices by themselves in the future. Children of all ages can learn to be healthy from the inside out!